There are two ways in which a property settlement agreement may be formalised in a binding manner, the first being a Consent Order and the second being a Binding Financial Agreement (BFA). Whilst both these documents finalise the property settlement entitlements of the parties, they are quite different. 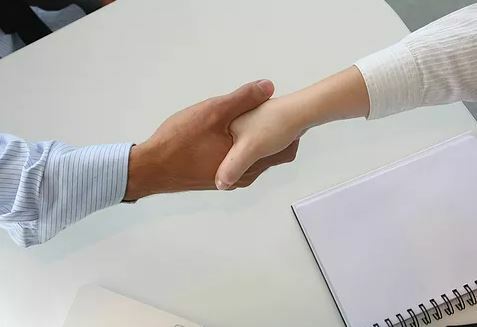 A Consent Order is a written document which reflects the agreement reached, is signed by the parties and witnessed by a Solicitor or Justice of the Peace. Such process involves the Minutes of Consent which detail the terms of the agreement and an Application for Consent Orders which detail the financial position of both parties and relevant background information, being filed in the Family Court of Australia and a Court Registrar reviewing the terms of the agreement to ensure that they are just and equitable, in other words, a fair division of assets. If the terms of the agreement are just and equitable, the Court will approve same and issue sealed Orders in terms of the Minutes of Consent. Although recommended, it is not a compulsory requirement for each party to obtain legal advice for the Consent Orders to be binding. There is no need to attend Court for the Orders to be made and the Registrar attends to making the Orders in Chambers. Should the Registrar require more information in their role in assessing the agreement, parties may be required to provide further information to the Court by way of Affidavit. So what is meant by just and equitable? There is more to property settlement entitlements than a mere percentage, as although the parties may receive their reasonable percentage entitlement, the Court looks behind the percentages to the actual effect of the division and the assets retained by each party. Generally, the Court’s desire is to see a division of the liquid and non-liquid assets between the parties. For instance, the Court would be generally hesitant to approve an Order whereby one party receives all of the cash and the other party receives all of the superannuation, however, the Court is usually of the view that the party of the lesser financial standing should receive a higher proportion of cash. In order to ensure a division of the liquid and non-liquid assets, a superannuation split is often utilised, which effectively withdraws a specified sum of superannuation from the superannuation entitlements of one party and deposits the entitlements into the superannuation fund of the other party, allowing that party to access the superannuation upon the fund’s usual qualifying events, usually retirement. Whilst a Consent Order finalises the property settlement entitlements of the parties and prevents either party from making a property settlement claim against the other parent, such document does not finalise the spousal maintenance obligations of the parties. A Consent Order may finalise both property settlement and parenting arrangements in the one document, however, a Binding Financial Agreement only deals with property settlement matters and as such, a Consent Order may be a more cost-effective mechanism to formalise an agreement. A Binding Financial Agreement is a written agreement which reflects the agreement reached, is signed by the parties and witnessed by a Justice of the Peace or Solicitor, but unlike Consent Orders, it is a compulsory requirement for each party to obtain independent legal advice prior to signing the Agreement, which is evidenced by a certificate attached to the Agreement. There is no need for a Binding Financial Agreement to be filed in Court as the effect of the Agreement is that you are contracting out of the Court process. A Binding Financial Agreement finalises not only the property settlement entitlements of the parties, but unlike Consent Orders, may also finalise the spousal maintenance entitlements of the parties. Where a proceeds of Crime Order has been made. An example as to this provision is where stolen goods have been divided in the property settlement. The Agreement relates to a superannuation interest which is an un-splittable interest. (b) In respect of the making of a Binding Financial Agreement, a party to the Agreement engaged in conduct that was in all the circumstances unconscionable. One has to be careful when entering into a Binding Financial Agreement as although they intend to finalise property settlement and possibly the spousal maintenance entitlements of the parties, these Agreements are more readily overturned than a Consent Order as with a Consent Order, the Court acts as a “cross-check”, but the Binding Financial Agreement has no such measure. Should you have reached an agreement as to property settlement matters and or parenting matters, we can provide advice as to the most appropriate manner in which to formalise your agreement in a binding manner. One of our Solicitors would be pleased to take your call should you telephone our office for a free 15 minute telephone conversation to assist you in determining the appropriate next steps to take in your matter.